High-achieving college students may first experience the “impostor phenomenon” when they get to graduate school. They not only find themselves surrounded by other high achievers, but in a program where the measurements of success are unfamiliar and somewhat undefined. At least that’s some of what faculty researcher Devasmita Chakraverty has found. Another cause of the impostor feeling appears rooted in the cues people get from others around them, Chakraverty reports. Female physicians describe being mistaken for an M.D. student or nurse by older physicians or patients, while conversely, some male medical students were mistaken to be doctors. Also, some graduate students and young faculty describe comments or actions from those in higher positions of authority that could be conceived as sexual harassment or racism. Chakraverty, Ph.D., is an assistant professor in the WSU College of Education in Spokane. In the six months since she started this project, she has received more than 550 completed surveys from graduate students and postdocs in STEM programs all over the country as well as from faculty, medical students, residents, and physicians. She has conducted telephone interviews with nearly 200 of the survey takers. A United States psychologist, Pauline R. Clance, Ph.D., coined the term “Impostor Phenomenon” in the late 1970s but the research about it has been mostly quantitative, with far fewer qualitative studies, Chakraverty said. Chakraverty used to be a bench-scientist, working with cells and molecules, and completed her M.P.H. from the University of Washington. She now focuses on understanding human behavior, especially in academic and professional settings, and has been a full-time educational researcher since 2010. She conducted all the phone interviews herself and said many of the participants thanked her for simply listening. She can personally relate to many of their stories, especially those related to gender violence, racism, discrimination, and immigrant status. 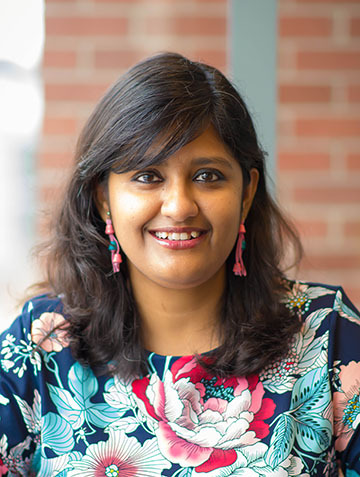 Chakraverty applied last year for two grants to fund this research – one from the university and one from the College of Education – and was so convinced she wouldn’t receive them that she arranged to travel internationally during the summer. Two weeks before her travel, she was notified that she received both the grants concurrently. Word of the survey was spread through the help of colleagues, conferences, and social media. Within months, Chakraverty ended up with respondents from 46 U.S. states and Washington, D.C.
She used a combination of the two quantitative measurement scales for the imposter phenomenon developed in the 1980s to create the anonymous survey. Participants were also asked if they wanted to take part in a follow-up phone interview. Of those she interviewed, 80 percent were women, and about 20-25 percent were in the medical field. During the interviews, some talked about being rendered powerless after some incident they experienced as children, and how they recognized that their feelings of being disempowered as an adult – or feeling like an impostor – were rooted in childhood trauma. Hispanic respondents, especially first-generation students, reported feeling culturally isolated because their family and friends could not understand why they wanted to spend years pursuing research. Some were also stereotyped by their colleagues as someone “who could teach them salsa dance or cook Peruvian food,” but not be a research collaborator. Black participants shared instances when they were mistaken as someone else (e.g., a custodian), called a “good Black” for being second-generation African American, or told by their colleagues that getting federal funding should be easier for them because they are filling a diversity quota. Students and faculty who published research papers worried that someone else would repeat the research and question their findings. Many women were recipients of inappropriate comments from male advisors about their looks or relationship availability or were met with skepticism from female advisors who were less than supportive of them having both career and family. The imposter phenomenon is prevalent across all genders. Chakraverty first heard the term “impostor phenomenon” in 2012 while interviewing physicians and biomedical science researchers during her Ph.D. She spent the next few years reading the research already conducted and designing a study to address some of the questions that had not been examined before. “There are many levels to this phenomenon,” Chakraverty said. Her research has raised many new questions, along with finding answers, something that impactful research does, she said. While much effort is put into getting more students interested in STEM fields, addressing the impostor phenomenon could contribute to retaining these high-achieving students who are already in the field. Along with conducting the research and disseminating findings, Chakraverty also aims to identify how people can be helped through professional development opportunities. The simplest intervention is to spread the word about this phenomenon and help connect with others who feel the same way, she said. Chakraverty found that even knowing their experience had a name was empowering to many. If anyone reading this story studies or works in a STEM or medical field and would like to take the anonymous, 10-minute survey, it can be found here.